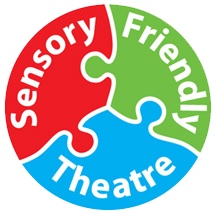 Brought to you by the Union County Board of Chosen Freeholders, Sensory Friendly Theatre (SFT) is a series of live performances specially designed and adapted for children with autism and similar sensory sensitivity. The Union County Board of Chosen Freeholders is pleased to present the Sensory Friendly Theatre series at Union County Performing Arts Center in Rahway. Sensory-friendly music, theater and dance performances are specially adapted for children and adults with autism and other sensory sensitivities. Implementing the supportive atmosphere is the organization Autism Friendly Spaces, which provides specialists to train staff and volunteers on working with children with autism and other special needs during Sensory Friendly Theatre performances, while providing comfort and help to families. The Freeholder Board is proud to support programs for adults and children of all abilities throughout the year. Each performance runs 60 minutes from start to finish, with no intermission. Seating is general admission and a limited number of tickets will be sold to maintain a comfortably-sized audience. Lights will remain up inside the theater auditorium during performances. Sound volume will be lowered and remain constant to prevent abrupt, jarring sounds. Children may leave their seats with parental or guardian supervision. A calming area is available in the UCPAC cafe where children and their families can relax. Fidget and stress-sensory toys will be available for children to borrow for the performance. Professional Autism specialists will be available throughout the performance to provide assistance if need be. A printable copy of the “This Is My Theatre” Social Story Picture Packet may be downloaded here. Families are encouraged to use this packet to help acquaint their children with the experience of going to a live performance.